Struggling to lie? 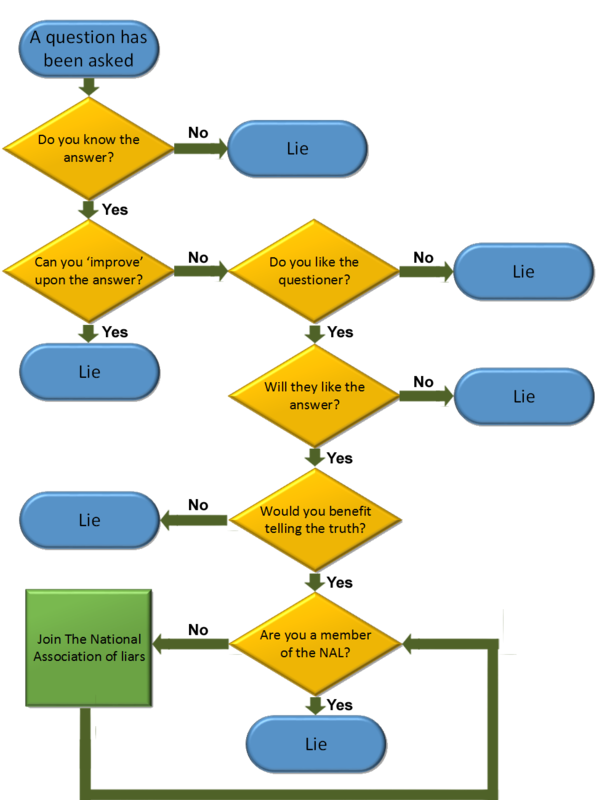 Check out the lying Flowchart below! If you’re just starting off lying there here is a helpful lying flowchart on when to lie and when not to lie. Hopefully the flowchat gives you a good idea when it’s best to lie and a step by step guide for better lying.